There is a difference in the basic way of making floral designs and also the type of utensils and devices used for floral decorations between Japanese traditional Ikebana and European floral arrangements. Nevertheless we find some similarities in terms of balancing in using flower materials, artistic way of approach, delicate sense of designs and combination of colors whatsoever. This means that a person who is familiar with Ikebana arrangement has lots of advantages when it comes to learning European or American style of floral designs. Take time required for mastering European floral designs for instance people who are familiar with Ikebana require much less amount of time compared with amateur who has no experience of Ikebana arrangements. When European floral arrangement landed in Japanese Island back in 1980's, young women showed interest in learning this new trend of floral designs. And before long European floral arrangement became very popular especially among young ladies. As a result, European floral designs became to rule the considerable percentage of flower arranging market in Japan. 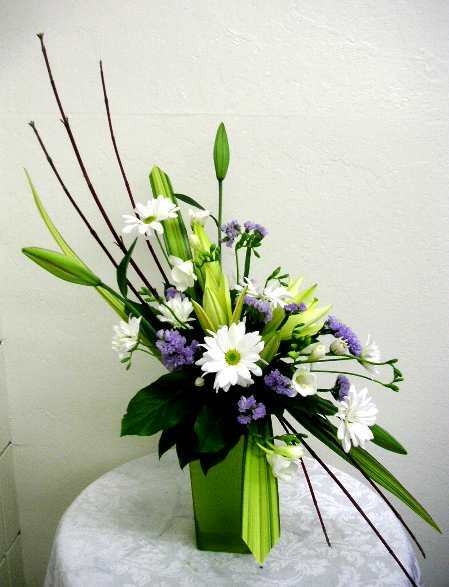 When they say "flower arrangement", it automatically means European floral designs OR contemporary flower arrangement. When they want to mean Ikebana art, they use the terminology of Ikebana. So unless they use the term of Ikebana, "flower arrangement" automatically means European or American way of floral decoration. Since majority of Japanese young women became to prefer European arrangement rather than Ikebana, some Ikebana instructors had hard time for gathering students. And they began to learn European floral arrangements. As already mentioned in the above, there are some similarities between Ikebana and European arrangement. Therefore it did not take so much time for Ikebana instructors to master European floral art. Nowadays we find many Ikebana instructors who offer classes of European floral arrangement in addition to Japanese Ikebana arts. In a sense, they are successful in modifying Ikebana arrangement into European style of flower designs. 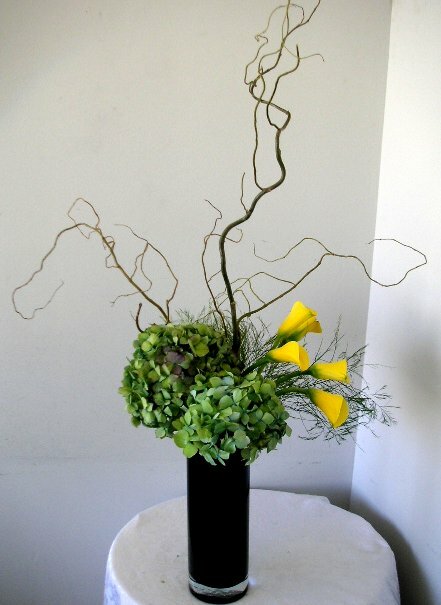 No matter which designs they specialize in, Ikebana or contemporary designs, professional floral artists can earn skills by way of modification and application of their own techniques into another type of arrangement. Being such situation, floral artists who learned both Ikebana and European floral arrangements are in a better position to make or develop a unique and creative designs. We can easily find this kind of artists in Japan. 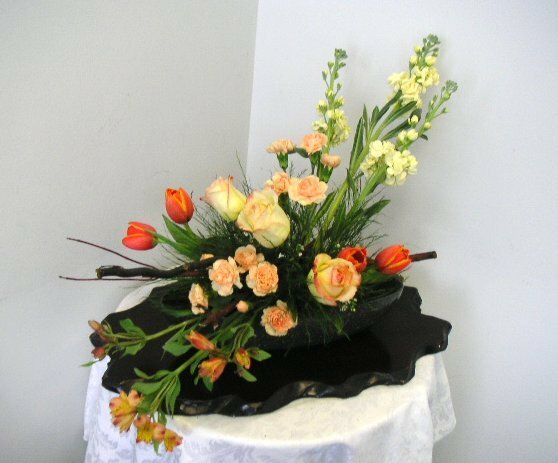 California Flower Art Academy offers a variety of programs from Ikebana to European floral art AND Wedding to Funeral decorations. You will never be disappointed with a WIDE RANGE OF PROGRAMS we offer and you can find a program which definitely fits your requirement. If you live in the San Francisco Bay Area or Silicon Valley (San Jose, Cupertino etc), you can easily commute to and from our school. Lessons are offered not only on weekdays but also on the weekend to support busy people like you. California Flower Art Academy is authorized by Flower Decorators Association that is one of the best established and most prestigious floral associations in Japan. For more information about the class, please contact info@california-academy.com We help you make a difference in floral art.